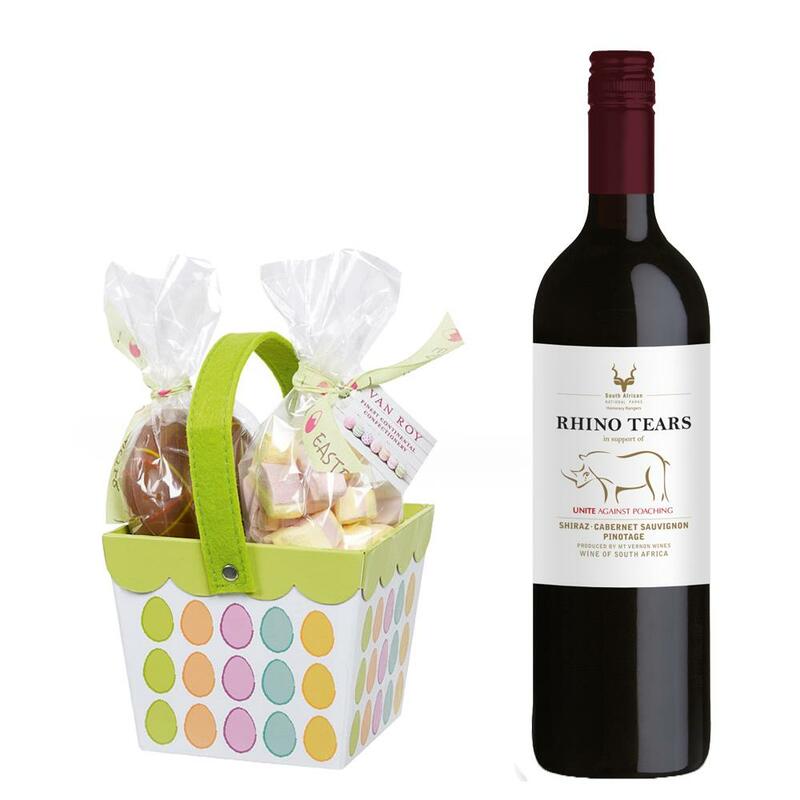 Buy this Easter gift and it comes with a full bottle of Rhino Tears Red 75cl packed with an Easter basket filled with Van Roy Belgian milk chocolate eggs 6 x 325g and mallows. Rhino Tears Shiraz Cabernet Sauvignon Pinotage - South Africa, A rich, appealing dark red. Strawberry and wild raspberry on the nose. Oak and light tannins offer well-structured underlying complexity.